I remarked to a friend that last week was quite strange. A number of fellow business owners were outwardly struggling with depression, anxiety, cyber-bullying, lack of sales, and generally just feeling funky. I have to admit, I was one of them. Now we couldn’t answer the world’s problems in our five minute walk from the car, if only! But it has stuck with me; perhaps it’s the psych grad in me wanting to know the ‘why’. I haven’t found a ‘why’, but I believe I have found a ‘what’. I am certain there are others, as we each run different businesses and each in our own ways. We are projecting all of this energy out of us and into our business and customers. Then on top of that some of us have families. As a wife and mother I have a whole other list of ‘ing’s and they seem to grow around Christmas. This time of year we add attending/organising Christmas functions, organising school holiday activities and chasing the right present (anyone who has had a child who has wanted this years’ must have present will know exactly what I mean). Then when the list is made, we glorify it. Friends come and ask how we are, and we openly respond with “Tired”, “Rushed”, “Exhausted”, “Busy” and they nod in empathy, for they are the same. We talk about all the things we have to do, obligations we have, how we need xyz for the business, and how we are waiting to steal a few days of rest over Christmas (amongst the other ‘ings’ we have lined up). I like the last one as it can encapsulate the others. Watch this talk from TED to see how big business is encouraging creativity and profiting from the investment. As a small business owner, I need to back away from the ‘ing’ and look to the creative. I took a month away from work and travelled with my family. In this time I had the space to be and in that I found clarity. This clarity has formed a new direction and untold benefit. Last week, I needed that time again, time to just ‘be’ and in that time I found strength to move forward. So I wonder, maybe the ‘ing’ that we need to incorporate more into our business (and life) is being. Taking the time and being in a space where we are not bound by rules and expectations; a space where we can play, experiment, and tell stories. A place where there is no right or wrong. What the video was looking at was using the life of children to fuel our creativity. The thing about childhood is that most of us were left to be. We were told to go outside and play, to entertain ourselves; why as adults do we not give ourselves that space? 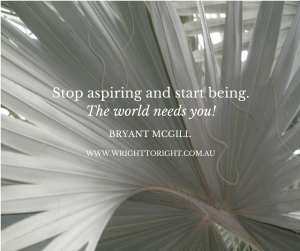 We are too busy with and glorifying the ‘ing’ to go and just be. So, in the comments below, where do you go to just be? How do you recharge and explore your creativity? 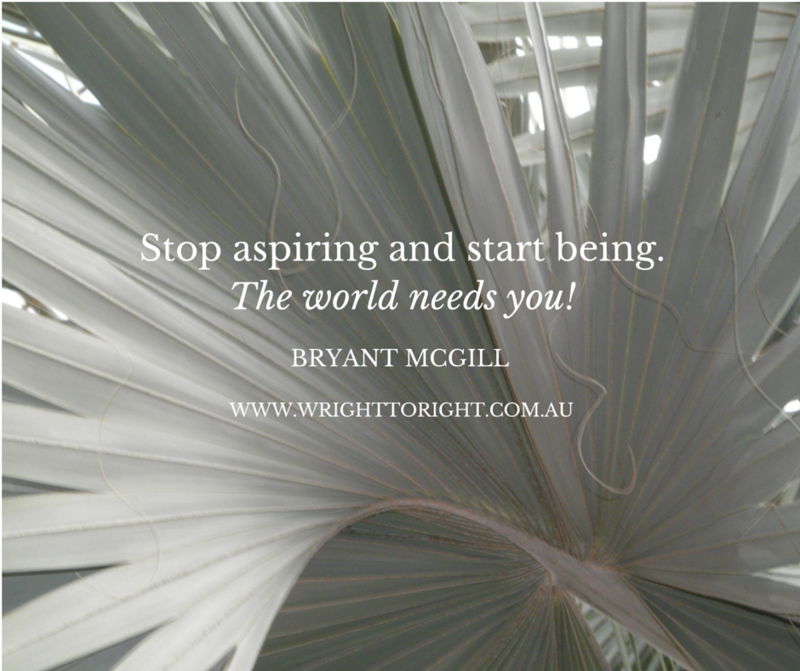 There are no right or wrong answers, and you just might inspire someone. In the previous posts, I spoke about defining your ideal client and your core business values. 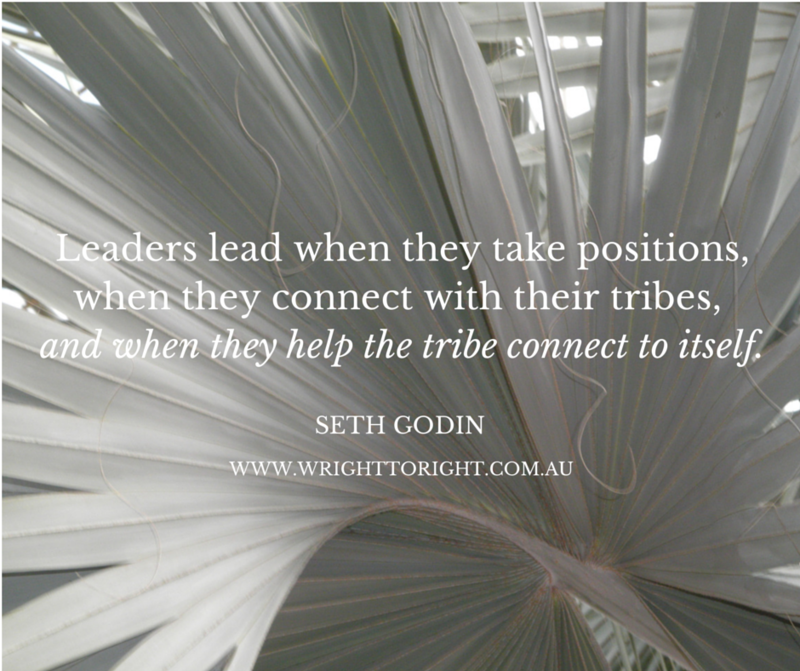 These are your defining ‘who’s, who are you working for and who you are. They are also key start and end points in your business, where you are working from and to. You need to get these definitions out of a book, off of the wall and into your actions. My years of Quality Assurance, project management, staff management and public sector experience all drew one key aspect from my Psychology degree, which is that values drive behaviour. So when I took over a dysfunctional team, I sat down with the members and discussed their values and drivers. From there I was able to align them with the functions (outputs) of the unit. An amazing thing happened, when the staff could see their roles aligned with their values, their performance improved exponentially, complaints decreased, and morale (and attendance) improved. All because I listened to the core values of my staff and matched them to their jobs and the function of the team. Now, imagine what you can do with your business, when you align your values, mission, and vision! Imagine what you can achieve, how easy it will be to bring in staff, how you will grow. Does your business have a mission statement? Do you know why you are spending your time in it? Who– who are you, are you a multi-national, family company, or sole trader? Who are your customers? Are they families, singles, seniors, small business, multi-nationals? What– What is it that you do? What do you sell? Why- Why do customers use your business? What is the benefit to them? Where– Where can they find you? Are you a bricks & mortar, online, franchise? Do you have a vision statement? Do you know where you want your business to be in one year, three years, five years? Specific– No wishy-washy motherhood statements. Say exactly where you want to be, put a dollar figure to it. Measureable- If it can’t be measured then you can look back and see if you have achieved it. It also means that it’s likely to be a motherhood statement and you are less likely to hold yourself to account. Achievable- The goal has to be appropriate, able to be attained in the given timeframe. Reportable- You have to make yourself accountable for the goal and the only way to do that is to make it reportable. That could be in your end of year financial report, quarterly reports, cash flow reports, stakeholder reports, reportable to a mentor or a friend. Time-sensitive- The goal has to have a deadline. Don’t make it a moveable goal or you are less likely to set tasks to achieve it. Evaluated- Is it reasonable, achievable, how does it compare to others in your industry? Reviewed- How often will it be reviewed so you know if you are on track? Now we move on to aligning the previous work you have done. So when you have these magical sweet spots, you need to leverage them. These are the words which need to drive your interactions. There’s a word of warning, they must be for your client. If you start writing about the business it becomes about you. You don’t need to sell, or convince, to you. Unless your ideal client is a competitor, don’t write about your industry either. Your customer doesn’t want to know why your industry does xyz, they have a need and want you to meet it. It’s why they are at your website/Facebook/Google+ . Go back and look at the list and where it meets your ideal client. What words help to meet their needs? What benefits are they looking for? Remember you wrote out their preferences, look to these for inspiration on how they want to be sold to and what needs you need to meet. Now, what are the benefits of your product or service and how do you meet your idea customer’s needs? So now you have the adjectives to help describe your product or service and you have the benefits you need to include when you write those descriptions. Make the most of these powerful sales tools to drive your business to your ideal customer. Remember, they are your goal, your target market and anyone else that you catch along the way is fantastic. My last blog post was all about getting to know your ideal client. When you understand the ‘who’ it gives you something to aim for, but with what are you aiming? Professionally, personally, collectively as a business – what are your core values? What are the fundamental underlying traits, behaviours, and values that you hold? I have included ‘personally’ as so many business owners instil parts of their own personality into their business. I have written on how the culture & values impact on staff behaviours in my Masters of Management, should you wish to read further on the topic please email me directly. Customers ask how to define their core values. There are a number of ways. Personally, I looked at the one thing I would love to do even if I never got paid to do it; then I looked at what it was about that thing which drove me. For me, it comes down to quality (read my latest post on this) and giving business owners the skills to get the most out of their business and to get themselves to the next level. Here is a video, which I have found, that will help you on the journey to finding your core values. Now over to you, comment below with your core values (business or personal). Don’t be shy and don’t worry if you only have one. Now think about how you will use this value and transmit this value to your customers. A while ago I wrote about finding your online voice. While all of it is important, there is one step that I am finding businesses either struggle with or skip altogether – defining their ideal client. I know in my handmade business that I am not going to be everyone’s cup of tea. I don’t want to be. So why does my service business (Write to Right) have to be any different. Well, fortunately I don’t believe it and in fact, before I started the business I worked with a leading marketing professional to define many aspects of my business. Why did I define these aspects of my business? Well, I knew that I would need to market Write to Right differently to my handmade business. That being the case, I took a corporate approach and went to a consultant. The first thing we didn’t do was sit down and discuss how she was going to revolutionise my business, nor did we work out strategies for different media. The first thing was working out who my ideal client was. This pushed my buttons as I hadn’t even considered defining my ideal client, and to be honest I was happy to provide my services to anyone. I hadn’t realised that the fundamentals I had learnt in the handmade sphere translated to business services. The thing I have realised since is that I am not alone. Most of the businesses that I have worked with do not know who they are marketing to. They haven’t gotten to know their ideal client. Don’t worry, defining your ideal client does not mean you can’t work with anyone who falls outside the definition. Defining your ideal client allows you to develop so many strategies to help your business, to grow your business, and to save you stress. Yes, it’s another ‘thing’ you should do and need to do, but I promise that it will save you time (and help to make money) in the long run. Current research indicates that it takes between seven and ten ‘touches’ before a customer will purchase from a business. A touch can be them seeing your business name, speaking to you, reading a social media post, or seeing you in person. If you are consistent with how you speak to your customers, then these touches are easier. By having an idea of who your ideal client is, it is easier for you to formulate these interactions. There are many tools and videos online to help you define your ideal client. I have found these two videos to be simple and informative. Watch them in the order I have posted below and use the questions in the second video (they are more in depth) to help you define your ‘who’, and the instructions in the first for the ‘why’. I’d love to know how you go defining your ideal client, so leave me a comment below. Did you find the videos helpful? Was the exercise enlightening? 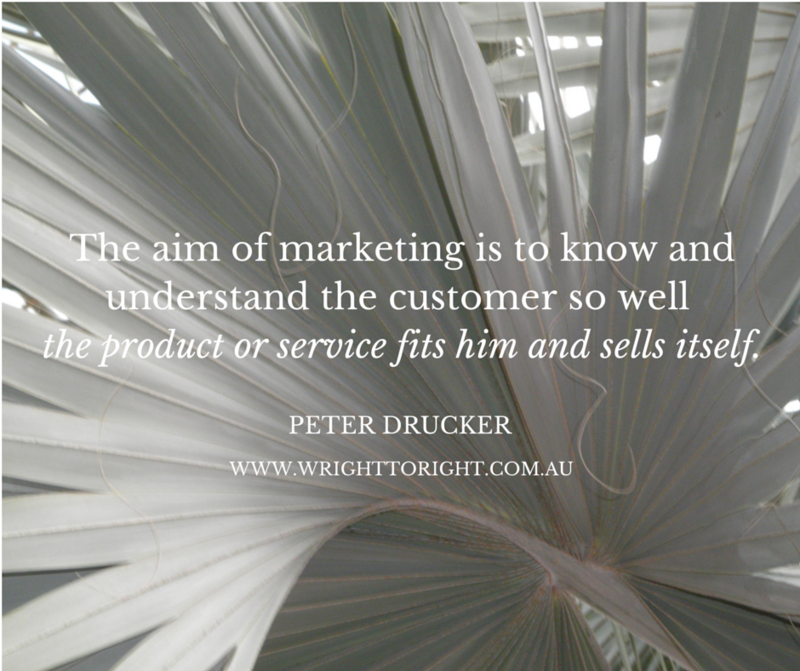 Or, do you already know your ideal client and can share how you use this knowledge?